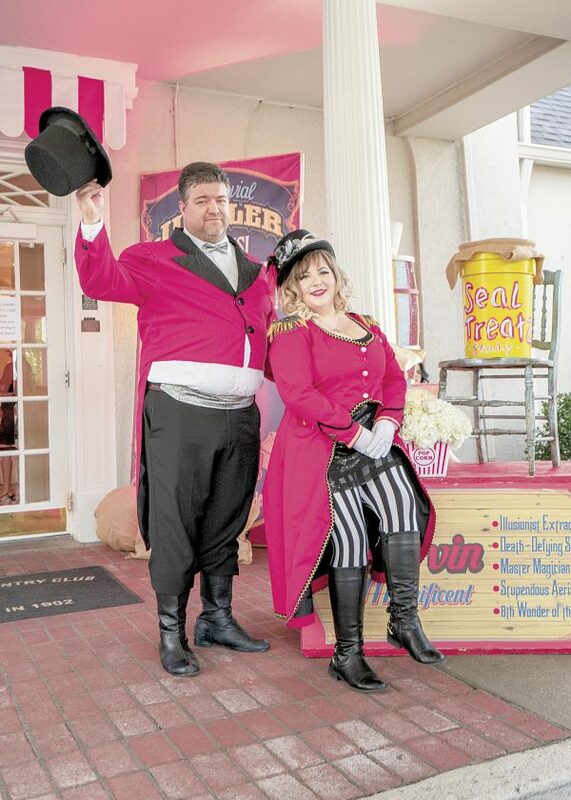 Photo by Steve Spencer Josh Martin and Jessica Duckworth welcomed attendees to the Under the Big Top Charity Gala at the Parkersburg Country Club Saturday. Photo by Steve SpencerA table of desserts in a circus theme at the Parkersburg Country Club for the Charity Gala Saturday. 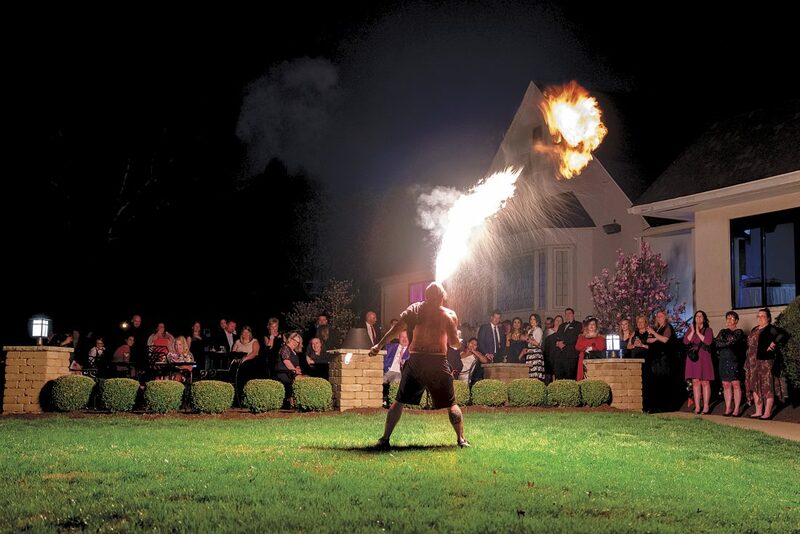 Photo by Steve Spencer The Burning Dawn troupe of Marietta provides a fire performance for a crowd gathered behind the Parkersburg Country Club during the Charity Gala Saturday. VIENNA — More than $25,000 was raised Saturday night at WVU Medicine Camden Clark Foundation’s 10th annual Charity Gala at the Parkersburg Country Club. Dubbed Under the Big Top, the party benefited the WVU Medicine Camden Clark Cardiology Fund with an emphasis on patient, education, wellness and chronic disease management. 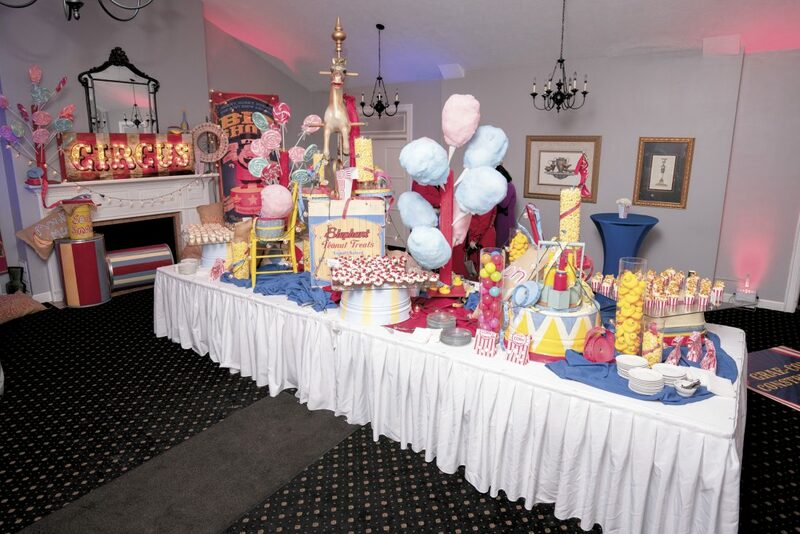 The entire Parkersburg Country Club was transformed into a vintage circus theme by Crown Floral of Parkersburg. 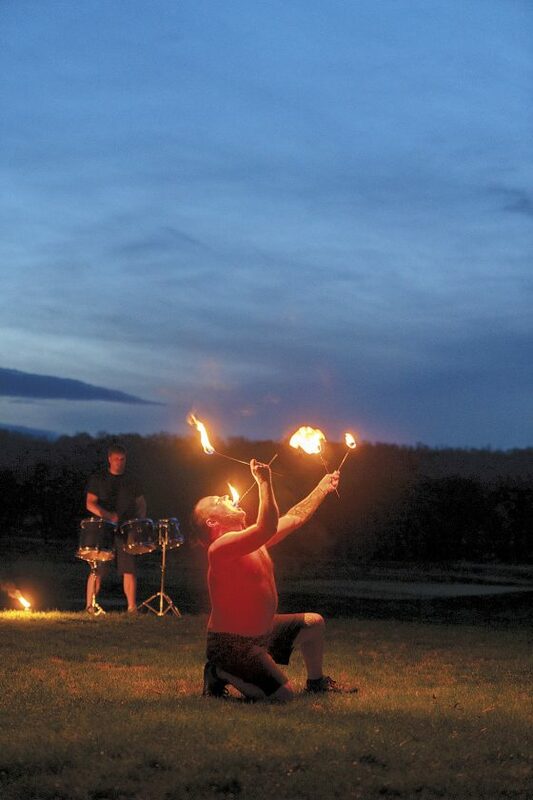 Providing a fire performance outside the country club near the back patio was the Burning Dawn troupe, a group of four performers from Marietta. The troupe did eating and breathing of fire, fire poi and chain whip of fire to entertain the crowd. The group has been performing for 10 years at festivals, weddings, backyard barbecues and other events, said Burning Dawn performer Wess Apshaga-Meaux. “I love it. 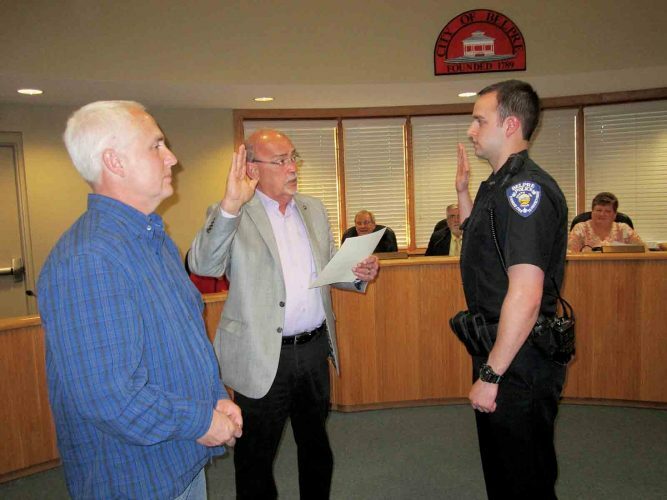 It is a great hobby,” he said. 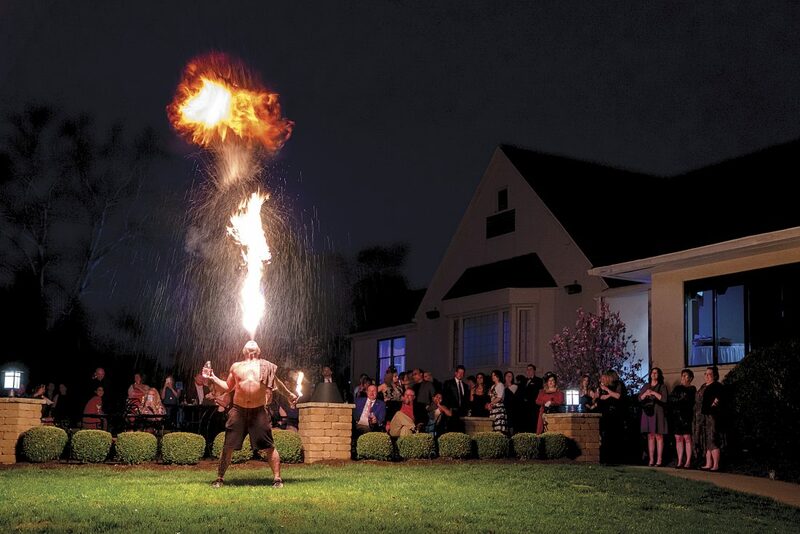 Apshaga-Meaux said he is a self-taught fire performer. “It takes a lot of practice,” he said. This year’s gala celebrated expanded cardiology services under one roof at the newest addition of Medical Office Building D on Garfield Avenue. The two-story 26,500-square-foot building, which opened earlier this year, is a partnership among Camden Clark, Parkersburg Cardiology Associates and the WVU Heart & Vascular Institute. 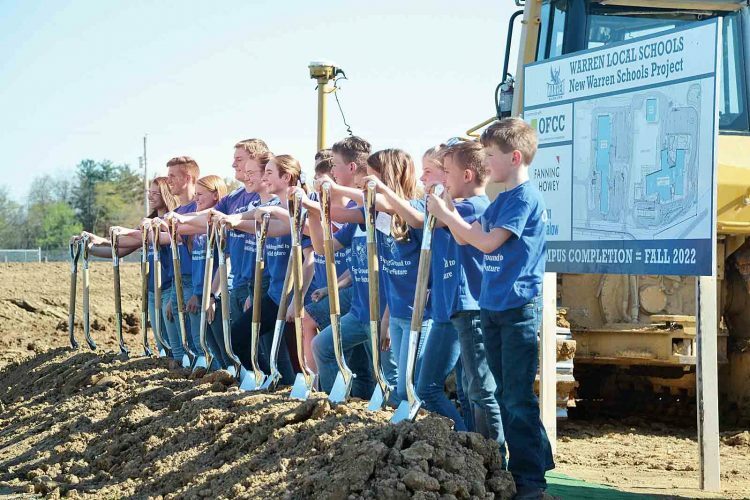 The Camden Clark Foundation was established in 1987. Its mission is to develop relationships and financial resources to support the health care programs, projects and services of Camden Clark Medical Center.